We all know the frustration of walking into our home after a day away to be greeted with a funky smell. How long has it been there? What on earth is causing it? Is this what other people sense when they visit? Keeping a clean home takes a lot of time and attention to detail. Unfortunately, many household odors can go undetected, not from uncleanliness, but simply because the owners of the house grow accustomed to them. This issue is precisely why OdorKlenz developed a line of household odor eliminators. Our goal is to give you peace of mind and confidence that everything you do to keep your house clean is not undermined by those hidden, unwanted odors. You work so hard to have a hospitable home, and at OdorKlenz we want you to get credit for it! The best part about our products is that despite their powerful ability to eradicate odors on contact, there is no chemical risk to your family. OdorKlenz is known for its commitment to using only safe, and effective ingredients. We believe in the power of nature to tackle life’s most obnoxious odors on a cellular level. We trust it so much that we never use perfumes, fragrances, or other masking agents to overwhelm an odor with another scent. OdorKlenz products neutralize malodors at their source and leave you smelling nothing at all in their place – because Clean Has No Odor! From bedrooms to basements, we have come up with an assortment of products designed to treat various commonplace smells. These versatile cleaners also work well in business offices, vacation homes, cars, garages, and more! Whatever the obnoxious scent and wherever you find it, the OdorKlenz household line is sure to have exactly what you need to keep your place odor free! Carpets, couches, rugs, and curtains provide comfortable, plush surroundings for our families to enjoy. Unfortunately, the fibers in those living spaces also provide little traps for impurities, many of which develop a nasty smell. Even after vacuuming and shampooing, some of the more stubborn odors like urine, dairy, or smoke linger or reemerge after a day or two. 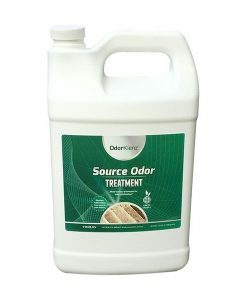 For accidental spills or messes, the OdorKlenz Source Odor Treatment offers instant and permanent relief. 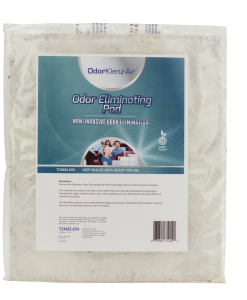 Our water-based odor eliminator is completely safe to use on any number of water-safe surfaces and saturates the fibers to find and neutralize odor-causing molecules trapped within. Use it alone for quick cleanups or in conjunction with your steam cleaner for set-in spot treatments and large area sanitation. Another favorite for living areas is our powerful Subfloor Treatment Kit, developed for use in areas with deep odor damage. Our kit is ideal for dealing with smells like cat urine or for odors which have made their way onto your subfloor. Many prospective homeowners find an otherwise perfect house with damaged subfloor and have to pass on a great opportunity. 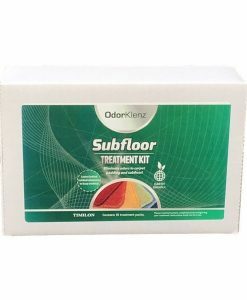 With the OdorKlenz Subfloor Treatment Kit, you can eliminate that foul stench and enjoy your fresh, odor-free home! The stinkiest parts of our homes are usually where we do the most cleaning! Grout in between tiles, nooks, and crannies around counters and appliances, and the bottom of the trash can are only some of the places in our kitchens and bathrooms which give us whiffs of yuck! Sink drains and garbage disposals cling onto odors deep down in parts we can’t reach with a scrubber (and even if we could, food odors have a way of not caring how much soap you use). 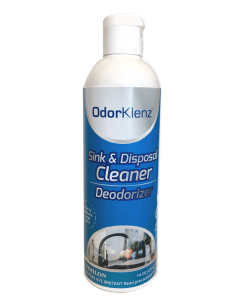 If you have ever found yourself dumping bleach down the drain just to get rid of that stench, you will love the OdorKlenz Sink and Disposal Cleaner & Deodorizer! Our cleaner, made from only safe earth minerals, eliminates bad smells and grime so you can enjoy a shiny, odor free sink in your kitchen or bathroom once again. 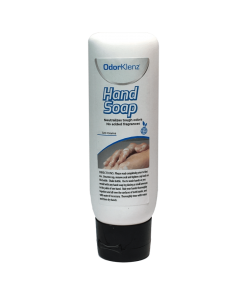 While you’re at the sink, try our hand soap for a nontoxic, odor eliminating clean! Of course, sinks aren’t the only place in our bathrooms to harbor bad smells. 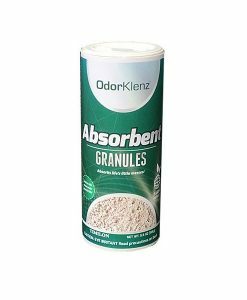 Though unpleasant, cleaning the floor around the toilet must be done to minimize the elbow grease and maximize the longevity of your odor free bathroom with OdorKlenz Absorbent Granules. Highly efficient and easy to use, this powder does all the work for you – just sprinkle around the toilet, let it sit for 10-15 minutes, and sweep or vacuum the smell away. This product is ideal for bathtubs and inside your toilet as well. The best part is that with OdorKlenz you know there are no toxic chemicals to hide from the kids and pets and you will not be overwhelmed by the smell of chemical remnants left by other bathroom cleaners. Then there are the oft-forgotten spaces in our homes where odors like to dwell. As mentioned, the bottom of the trash bin can be a hotbed of grime and nasty aromas. The spot under the sink can develop a musty scent. The back of the pantry, the storage closet, the unused guest drawers are all spaces that accumulate unwanted, dingy fragrances. For such spaces, OdorKlenz developed our innovative Odor Eliminating Pad. Toss one in your gym bag to cut down the musk. Keep one in the bottom of your storage containers to keep your items fresh. Send one along with your teenager to keep his locker from getting funky. There are so many uses for our pad we know you’ll love it and we can’t wait to hear what you do! You spend a lot of time and money on the hygiene of your home. Add OdorKlenz to your cleaning regimen and trust that all your hard work will not go unnoticed because of subtle scents or musky drawers. With OdorKlenz you can be proud of the fresh home you keep while you protect your family from harmful chemicals and remain earth conscious as well.